The HTC U11 Life comes with more goodies in the box than some of the more expensive flagship bundles in the market. Some of the review packages had Premium Device, Half The Price slogan printed across and we are willing to trust HTC on this one. Inside the cardboard box, you will find the must-have 10W charger and a USB Type-C cable. HTC has also included its high-end USonic noise-cancelling headset, a USB-C-to-3.5mm adapter and a transparent case. 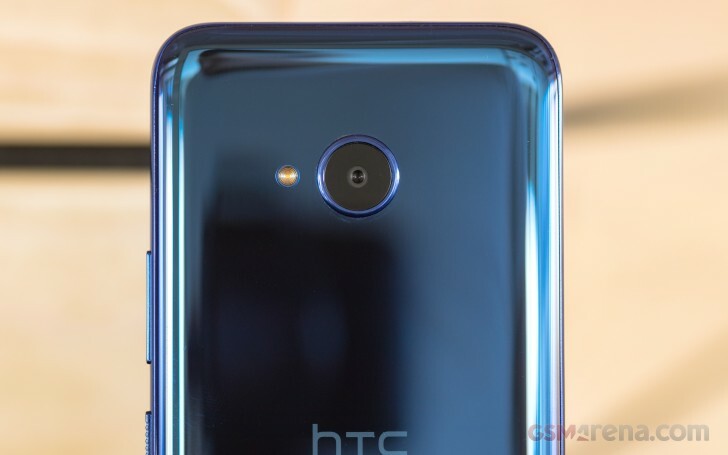 The HTC U11 Life measures 149.1 x 72.9 x 8.1mm, which is some 4mm taller and wider than the Pixel 2. The Life weighs 142g, about the same as the Pixel. 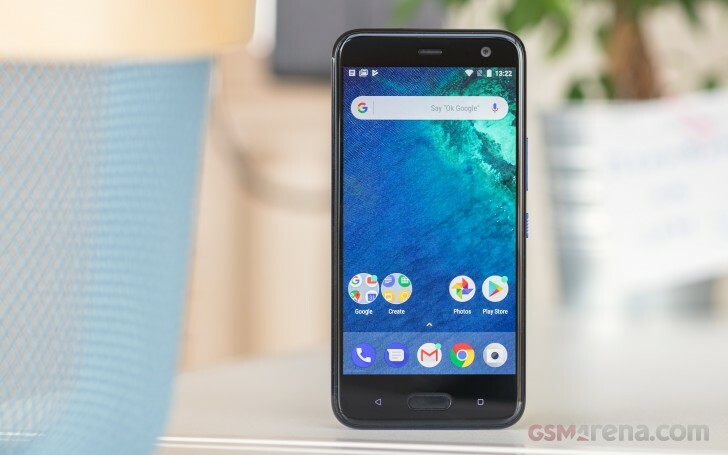 If you have seen the HTC U11 or U11+, then you've seen the U11 Life too. The signature Liquid Surface continues to impress on the Life with just a few subtle changes. The chameleon paint has a bluish hue this time around, Sapphire Blue, the alternative being the greenish Brilliant Black. Though the overall shape remains similar to the U11 and U11+, the Life has a different finish but still a solid enough build. For starters, the frame is now made of plastic. It's still glossy and matches the rest of the body perfectly, so we have no complaints. HTC chose to protect the 5.2" screen with a sheet of Gorilla Glass 3, which ends on a pleasant 2.5D curve. Unlike the rest of the U11 gang, this one gets to keep the hardware Android keys and puts the fingerprint scanner at the front too. We don't mind as the Life still has slimmer bezels than the Pixel and we are not giving up any screen real estate. The back is where the U11 Life is looking just as stunning as the U11 and U11+. The rear panel is made of acrylic glass with a 3-axis symmetric curve and the paint you see was laid on the inside to prevent chipping. The extra layers of highly reflective minerals applied on the outside produce the unique brilliance and color-shifting effect. 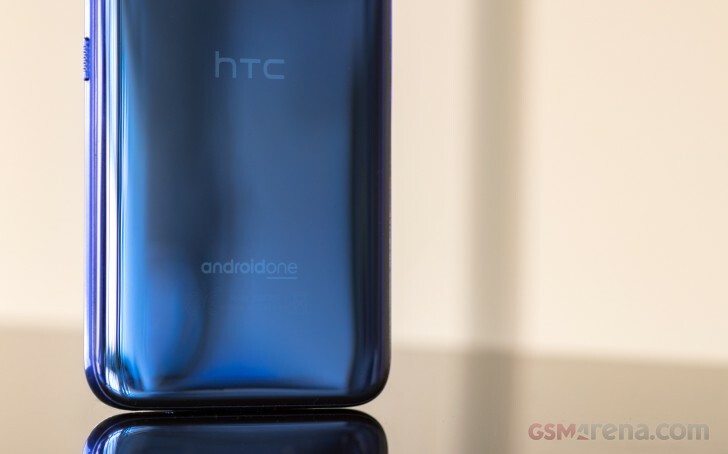 According to HTC, the back is made of acrylic glass, also known as plexiglass. But if you visit Corning's website, it says that both the front and back of the U11 Life are made of Gorilla Glass 3. While handling the Life its back felt more like plastic rather than glass - that's really subjective and debatable. One thing is sure though, the U11 Life looks nothing short of premium and if you don't focus too much on its plastic build, you'll never doubt its flagship pedigree. 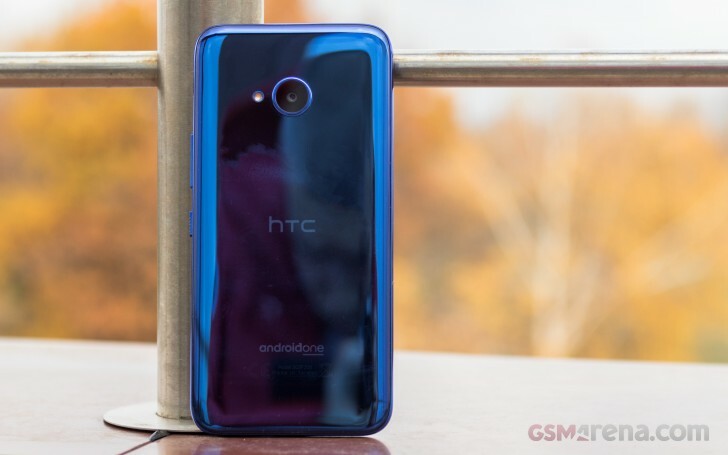 Handling the HTC U11 Life is a very pleasant experience, comfortable and reassuring. Yes, the Life is slippery but not as much as we feared. It's a smudge magnet, no two ways about it, but that's the price to pay for the dazzling looks. The build is solid, water-proof, and pretty scratch resistant as per our time with the U11 Life. The phone is definitely one of the better-looking devices in its class even though it quickly gets covered in grease. The U11 Life is an Android smartphone by the book. Above the screen is the earpiece next to the notification LED, a couple of sensors, and the 16MP selfie cam. Below the display is the set of capacitive keys and the always-on fingerprint sensor. The volume and power keys are on the right side of the U11 Life. The top has one of the mics for the hi-res audio recording and the card slot. The bottom is where you'll find the centered loudspeaker, which has pushed the USB Type-C port to the side. The mouthpiece and the second mic for hi-res recording are around too. The 16MP main camera is on the back and a single LED flash is keeping it company.